If you follow the news, you will agree with me that the drama in the Nigerian political scene is nowhere near its end. One thing you can be sure of is that it will continue until the June 12 handover. Of all of the major events which took place last week, one calls for jubilation, that being the survival of Vice President Yemi Osibajo and his crew from a helicopter crash. Opinions are still pouring in on what could have caused the crash. A number of people are already criticizing the Vice President for not considering the use of an armed forces chopper, either from the Airforce or Police. Others say it would not have been right to use government property for party functions. What’s your take? Should the VP have used the government chopper for a party assignment? Share your thoughts please with us at [email protected]. What I found most ridiculous is the dragging of God Almighty into the incident. Some folks have come up with a line of thought that, Jehovah was expressing his anger and warning the Vice President to desist from political activities and return to the pulpit. I guess some of those folks have their own Jah in a corner of their brains who tells them when his wrath is about to drop. Na dem sabi sha! Then we started hearing rumours that the Lagos State Governor, Akinwunmi Ambode would possibly be impeached because it was alleged that he was spending state money without an appropriated budget. My opinion: I really don’t think that this would go down well for the ruling party in the state. Ambode may be bitter about his loss in the primaries but I think he has every reason to see his current tenure to a reasonable conclusion. In a twist of events, the leadership of the party has waded in and we can confirm that the move has been dropped. Many thanks to the national leader of the APC, Asiwaju Bola Ahmed Tinubu, hopefully, Lagos will return to sanity now. Is someone already thinking that they didn’t get a chance to attend any owambe in the midst of all the political drama? I did o! Like it always happens, I stumbled upon a friend who thinks there is absolutely no reason why I should not party and , last week I agreed with him. It was the Abeokuta Grammar School Old Boys Association (AGSOBA) presidential New Year party, at the Eagle Club, Surulere, Lagos. Aare Ariyo, an alumnus, had dragged me away from a Thursday pool shooting exercise, promising a maximum faaji. Yeah! It was maximum enjoyment as the aroma of “gbegiri and ewedu” welcomed me, the beef cut to size with a little skin on one side, would move any mind to stay on for dinner. I settled in quickly and took my time to savour the sumptuous meal. Of course, there was water and stout chilling quietly in await for my attention. 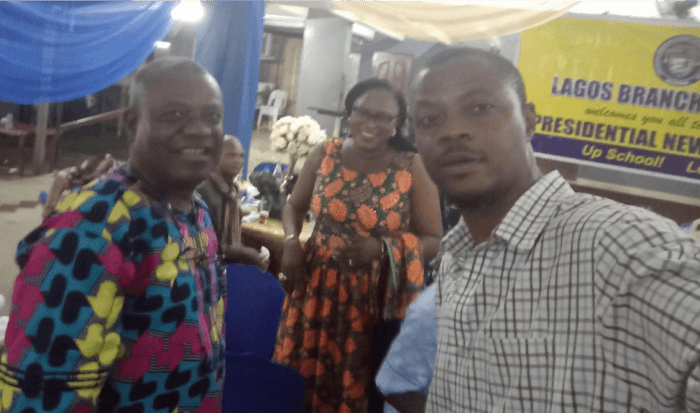 The event afforded me an opportunity to reunite with some of my school mates, Muyiwa Adesina was at Ladoke Akintola University with me and Olawale Apooyin, a friend from my post graduate classes at Orange Academy. By my side was a lovely lady, who looked full of energy and I guessed she was in her twenties. I couldn’t help but steal glances at her, so I told her I’d bet she was twenty five, I knew it was a silly move but I couldn’t imagine sitting by a pretty lady like her and just let time drift by without engaging with her. I asked her what she thought about the political situation in the country. She declined to respond but did offer to dance with me. I insisted on asking her age and it turned out she was twice the age I had first thought she was! We hit the dance floor, a little alcohol in my system and for someone who doesn’t know how dance, I did well. 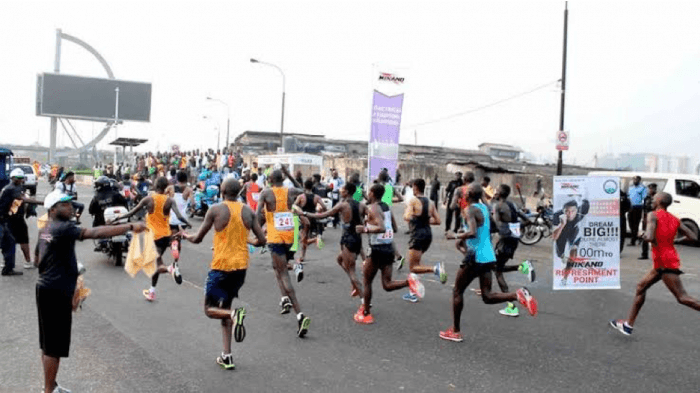 Lagos City Marathon was on my mind and while I did everything humanly possible to attend, I couldn’t secure a pass. I did however track a few of my friends who participated, Hanafi Bolaji, said it was a tough race but he made it to the finish line. When I asked Elohor if she won a medal, she only smiled, I’m sure you know what that means! Suntayahu Legese and Dinke Meseret were the hero and heroine at the end of 42KM race. Legese returned with an astonishing time of 2 hour 17 minutes 28 secs, Kipkorir Joshua of Kenya came second in 2 hours 18 minutes and 16 seconds. 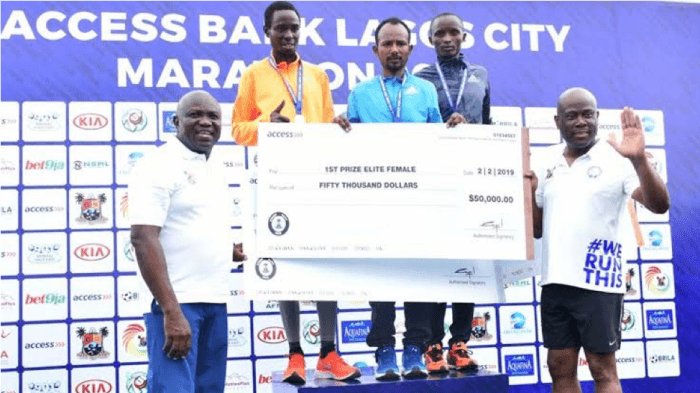 Meseret who won in the women’s section came in with a time of 2 hours 48 minutes 2 seconds while Alemnesh Herepa came second with a time of 2 hours 49 minutes 5 seconds. Congratulations to all who competed. Be sure to follow us on social media @YANGA_UK. Remember to do a random act of kindness wherever, whenever as you go about your affairs.